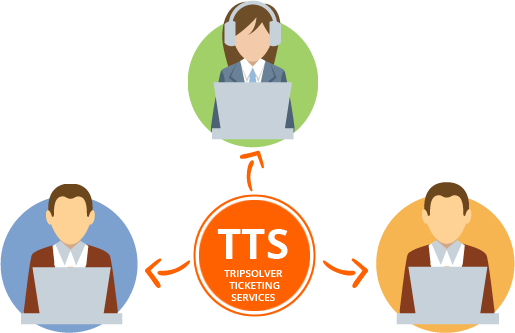 Be a TTS Registered Agent and start Booking Tickets Instantly. Yes your Travel agency is doing great but only limited to local business with limited customer reach. 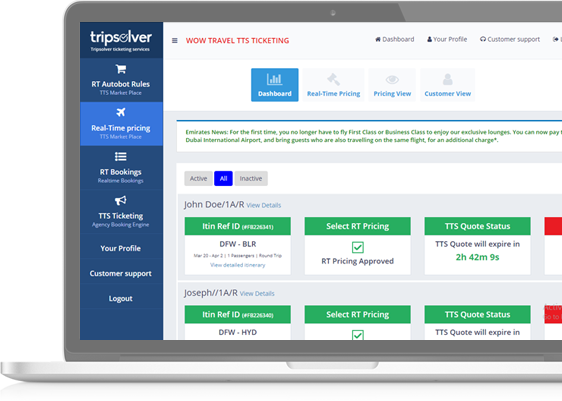 Now with TTS, you can quote, reprice and fulfilment tickets for customers all over the world. You have full control on your markup and discounts, you decide and we offer to customer. Customer selects the route and you can price it and earn more business and commissions. Yes you got this Right!! You have a best deal but not sure how to reach customers and make Best sale for the day, now just publish your deals and offers with TTS and Customers can directly book that deal ticket online. Advanced system for ticket tracking and Invoicing. Expand your business with TTS advanced reports and let you identify to grow. TTS validate and approval with a]Login activation key! Start marketplace pricing and increase your travel revenue! !